Circulation(s), a photographic event dedicated to young European photography. The first edition of the festival Circulation(s) which took place in Bagatelle park in Paris last March was a very successful experience. Offering a fresh perspective on Europe through photography, the festival Circulation(s) set to light 42 young photographers which were invited to exhibit their work to a large public in a unique place. The success of the first edition has determined Fetart to launch the second edition of the festival Circulation(s). This second edition will take place in March 2012 leading the festival Circulation(s) to become a major annual event devoted to contemporary photography. The call for applications is aimed at all European photographers or residing in Europe in their early career of artist. The photographers will be selected on the quality of their artistic practice and the relevance of their work. There is no theme. At the end of the call, about 20 photographers representing a large overview of the new generation of European photographers will be selected to exhibit their works. 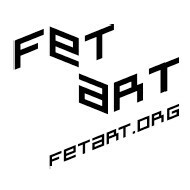 Association under the Act of 1901, recognized as being of public benefit, Fetart aims to promote emerging photographers by giving them a first opportunity to exhibit their work, by organizing cultural events. Springboard for launching the careers of photographers, the association has revealed many talents and has provided them a first foothold in the art market. Most of the photographers are now exhibited in galleries, followed by agents or presented in international fairs. About 20 photographers will be selected by a jury which will meet at the end of the month of October, 2011. The photographers will be selected on the quality of their artistic practice and the relevance of their work. The selected applicants will be informed by email in the course of November 2011. The jury will meet at the end of October 2011.